You should have completed part one of the series. This is part 2 of a 4 part tutorial. You can find part 1 here, part 3 here and part 4 here. To allow us to serve data to the UI, let’s create an API server for the application. The server will be built using NodeJS and GraphQL. GraphQL allows you to describe how to ask for data. With GraphQL, the client specifies the exact resources it needs instead of making requests to REST Endpoints that return everything. 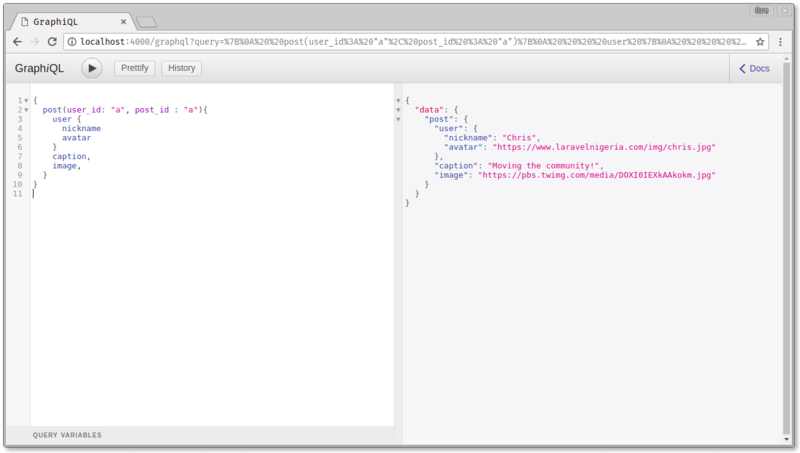 The GraphQL API has three main building blocks which are queries, schema, and resolvers. 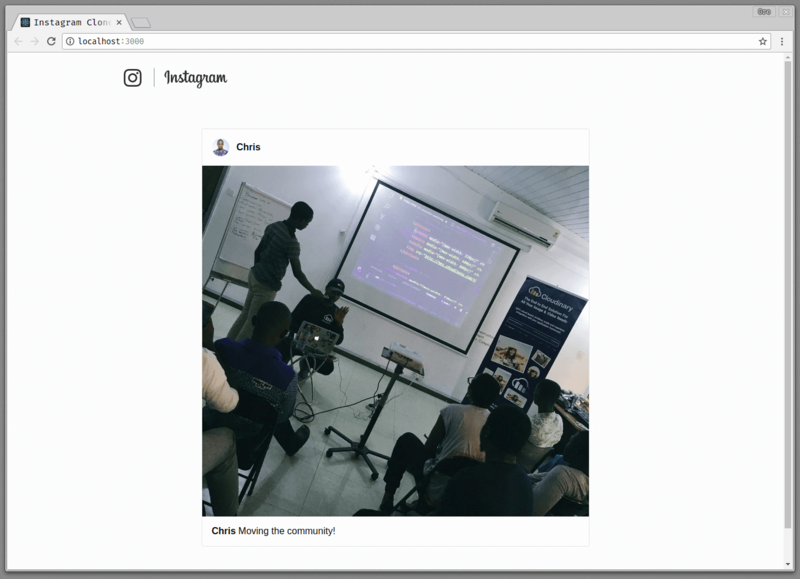 To get started, create a server directory in the project root of the react-instagram-clone app. Here’s a link to the Github repository for more reference. Next thing is to construct a schema. In GraphQL, schemas are constructed using GraphQL Schema Language. post(user_id: String, post_id: String) : Post! In specifying the schema, above, we also added a query. Query fields also allow you to add arguments which we will need in this case to display specific data. The data is truncated for brevity. You can fetch the complete data from the server.js file on Github. GraphQL also comes with an interactive console that could be displayed to allow developers get familiar with GraphQL queries. The grapgiql: true option specifies that this should also be mounted on the /graphql route of the express server. Now, when you run the server.js file, your server will be hosted at http://localhost:4000/graphql. As you can see in the result below, all that needs to be changed is the description of what you want from the server. From the screenshots above, you can see that the server only returns the data that was requested of it. Nothing more, nothing less. Now, let’s see how to connect the server to our React UI that was created in the part of this series. To do this, we are going to make use of Apollo. First, let’s install the necessary packages in the root folder of the react project. The uri used above is that of the GraphQL server that was created earlier. Then wrap the content of the App component in an ApolloProvider passing the created client as one of the props. This allows us to use the created client all through the different components of our application without having to create a new Apollo Client every time. We are going to replace the dots with the query handler but first let’s understand how query itself. The code above creates a GraphQL query that will be executed. When this query is run using the GraphiQL UI this result is obtained. In a real life scenario, you don’t expect to only have one post showing on your version of Instagram . 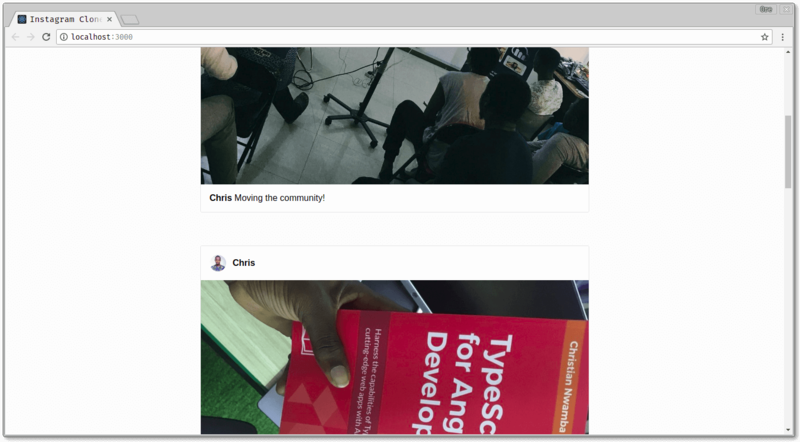 What needs to be done now is that a new Posts component needs to be created to allow for dynamic queries and display of multiple posts. Let’s see how to do this. 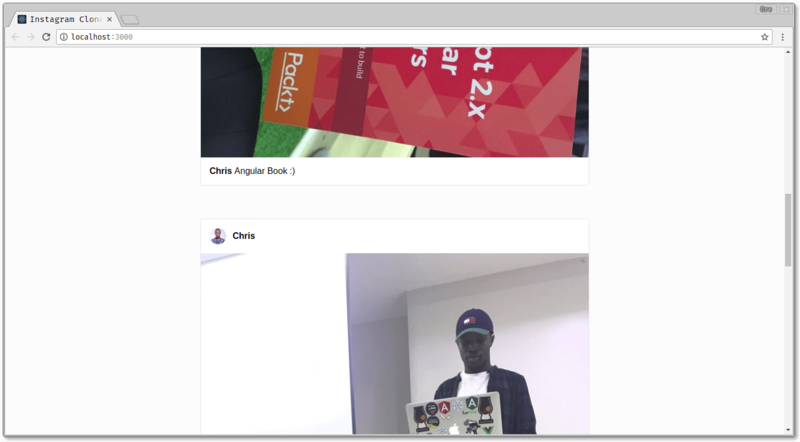 As seen above, the Post component has the nickname, avatar, image and caption which are dynamically added for each post that is fetched from the GraphQL server. What happened here is that all the posts received from the GraphQL server were mapped to Post components with the necessary data properties. In this part of the series, we took a look at GraphQL and how to create a GraphQL server. 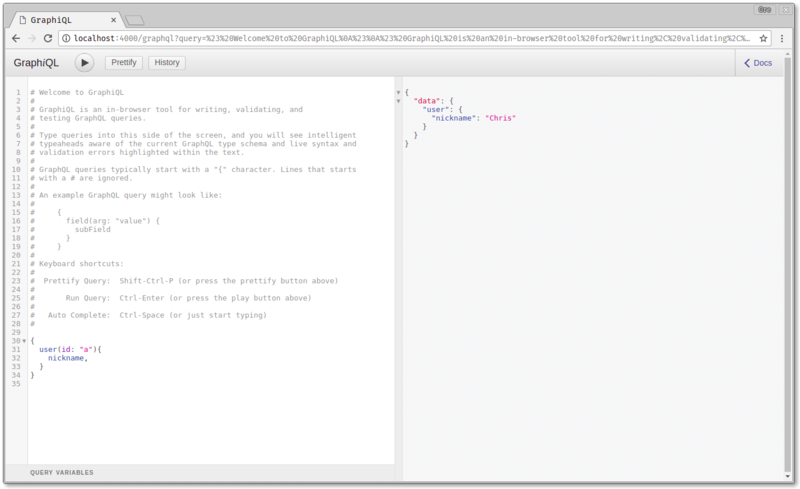 We also saw how to link our existing React UI to the GraphQL server using the Apollo Client. In the next part of the series, we are going to look at how to add realtime feed updates to the Instagram clone application using Pusher. Here’s a link to the full Github repository if you’re interested.